OORCCA is a ERP system for medium to large tax advisories, audit firms, law practices and consultancies. The sector-specific data collection and processing allows OORCCA to deliver a maximum of transparency and security for successful management decisions. As well as fulfilling the highest standards of master data administration, performance monitoring and accounting, OORCCA also raises the bar for personnel scheduling, project outlining, resource allocation and customizing, reporting and controlling. Other key advantages include the operational planning of your staff, an open interface for multiple systems and a service oriented engagement structure which is easily integrable into existing software environments. As an efficient ERP system, OORCCA not only reliably and dependably depicts your business processes from award of contract, to quick timekeeping and receipt of payment. OORCCA is also able to give you detailed information at any place and time in a matter of seconds, whether or not your engagement is profitable and if your staff is at full capacity and working efficiently. 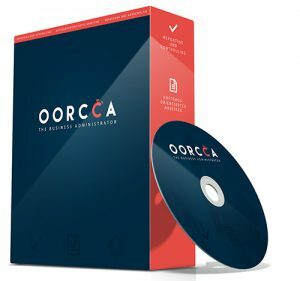 OORCCA is a management software developed specifically to address the needs of auditors, tax advisors, lawyers and consultants. Nevertheless, our clients do not have to settle for these very specific standards. OORCCA is constructed in order to be modified according to the organizational structure of your business. OORCCA adapts to the structure of your enterprise, meaning your entire business structure can be illustrated via customizing. There is no need to change your organizational structure, our software is just as individual as your business. The quality of the data, which is generated within the daily expense recording, is crucial for the informative value and relevance of ensuing reports. We at OORCCA gave great attention to detail, in order to create a reporting system that is as intuitive and self-explanatory as possible. OORCCA offers extensive time and budget planning as well as scheduling for projects. Utilization levels, costs of project teams etc. can easily be documented and accessed. OORCCA presents you with an extensive planning tool and quick overview of your current projects. All processes (performance documentation, accounting, disposition) relate to distinct engagements. This creates immeasurable advantages in gaining an overview of all relevant performance indicators. At all times you are able to compare target values with the current status. OORCCA offers the possibility to easily create and use reports. Certain reports can easily be created in pivot form via drag & drop. All reports can be individually customized to suit your business, giving you a comprehensive overview of your business. Prior to accepting engagements, auditors are required to fulfill numerous occupational regulations. These cases are covered by our conflict management which checks for possible overlaps that may inhibit engagement acceptance. Want to learn more about OORCCA? Please contact us and we will be happy to give you detailed information on our software solutions.